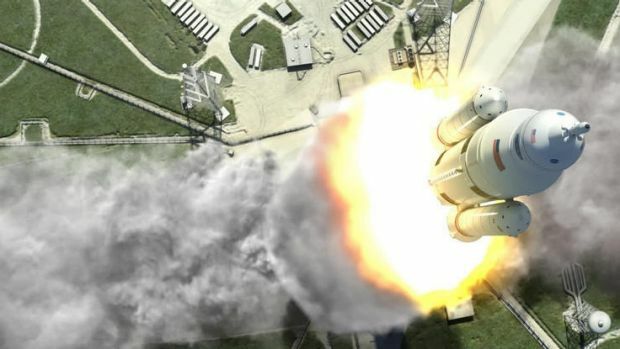 NASA approves Space Launch System. This is good, despite the problems. We seem to be getting closer to deep space missions: NASA approves Space Launch System, the most powerful rocket ever, for deep-space travel. NASA gave the go-ahead to start full production on the most powerful rocket ever. The rocket, known as Space Launch System, is set to blast beyond low-Earth orbit this decade to explore the deep reaches of space, including near-Earth asteroids, the moon and, ultimately, Mars. Boeing, prime contractor on the rocket, announced on Wednesday that it had completed a critical design review and finalised a $US2.8-billion ($2.99-billion) contract with NASA. The last time the space agency made such an assessment of a deep-space rocket was the mighty Saturn V, which took astronauts to the moon. As the article discusses, there has been an enormous amount of criticism of the Space Launch System. It’s using oldish inferior technology. It’s beset with waste, fraud, and abuse. It’s nothing but pork barrel spending run amok. I’m still happy to see progress being made on it. Not because I approve of all the waste, fraud, and abuse etc. I don’t. Or that I’m not disturbed by it. I am. But because I’m just happy to see us getting a heavy lift system of some kind again that makes human deep space exploration feasible. Since the abandonment of the old Saturn V rocket, we haven’t had a heavy lifter capable of launching large payloads into orbit, or further. The Saturn V rocket could lift 118,000 kilograms into low earth orbit. (For Apollo, this included the third stage used to propel the command module and lunar lander to the Moon.) The Shuttle could only launch about 24,000. This new rocket will be able to launch around 70,000 kilograms into orbit, and a planned later version should be able to lift 130,000, surpassing the old Saturn V.
Think about how much faster the ISS could have been constructed with a Saturn V or an SLS able to launch larger components. Human exploration past low Earth orbit isn’t feasible without this kind of brute force capability. At least, not without requiring a lot more launches, higher complexity, and more danger, all at much higher cost. The SLS is far from perfect. I’m quite sure it’s far from the best that we could do. But if we insist on perfection, rejecting every technology that isn’t our preferred one, or every program that isn’t free from pork barrel politics, we will never make progress. I doubt the Apollo program, or any of NASA’s endeavors in their glory days, could have passed that test. I think the SLS, despite its problems, will be progress for deep space exploration. At least unless the next President comes in, scraps it, and starts everything over again. This entry was posted in Zeitgeist and tagged Boeing, Launch vehicle, Low Earth orbit, Nasa, Near-Earth object, Saturn V, SLS, Space, Space Launch System. Bookmark the permalink.